Long Shadows Vintners: For finding out what Randy Dunn does with Washington Cabernet. 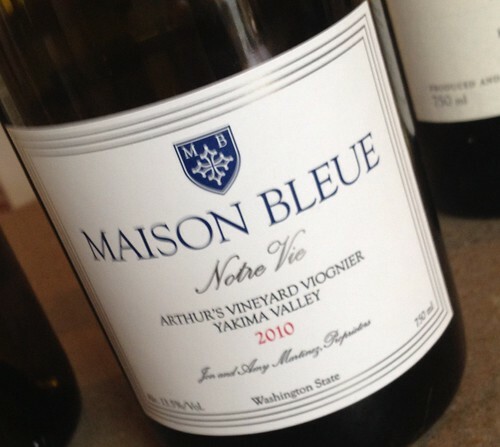 Maison Bleue: For some of the most exciting Rhone-style red and white wines. Mark Ryan Winery: For the chance to say hello to one of the best people in the business and taste two great blends. McKinley Springs: For one of the best values in Syrah. Reininger Winery: For trying more Carmenere. Syncline: For seeing me finally getting to taste their sparkling wine. Tranche Cellars: For a crisp, dry rosé. Treveri Cellars: For some palate-cleansing bubbles. Waters Winery: For tasting one of Washington’s top Syrahs. Whidbey Island Winery: For sampling their fine touch with Italian grape varieties. Happy Tasting! Anything you’d like to add to this list? Let me know in the comments. Right there with you on those Syncline bubbles. Was happy to see that they are pouring it. Definitely bringing some sizzle. 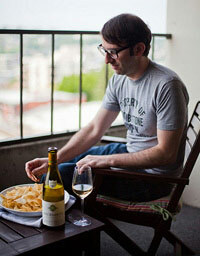 I might suggest adding Dunham to that list, tasted their wines in Portland earlier this month and was very impressed. My Walla Walla favorite, Skylite Cellars, is worth a visit too. Cheers! Thanks. It is a seriously daunting tasting. I’m going to have to make a plan and stick to it. I’ve had Dunham pretty frequently but will try to check out Skylite. Thanks for the tip, reading, and commenting. I look forward to hearing about Arizona and Costa Rica. I went to grad school in Flagstaff. Enjoyed your posts from Amish Country. Did you bring back a quilt? And I welcome a wine blog from you. Would be the first one to subscribe. I would highly recommend Gramercy Cellars. I was in Walla Walla recently and their Tempranillo was the best wine of the trip! I’m a fan of their wines as well. Thanks for the additional suggestion and the comment.